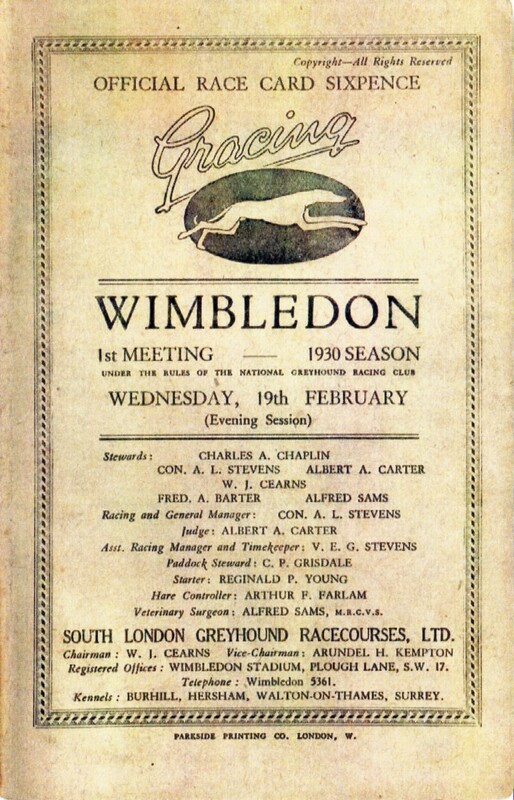 This was the first Wimbledon meeting of the 1930 season. 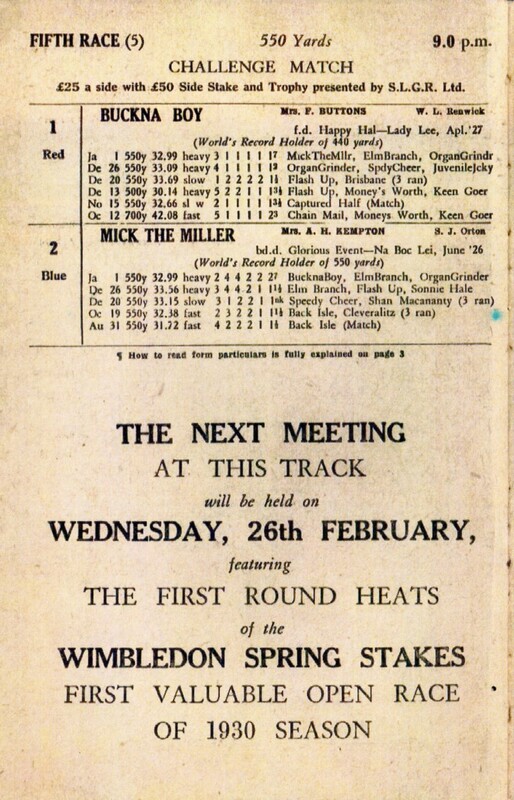 Race 5 saw 440 yards World Record holder Buckna Boy matched against 550 yards World Record holder Mick The Miller. There could only be one winner! 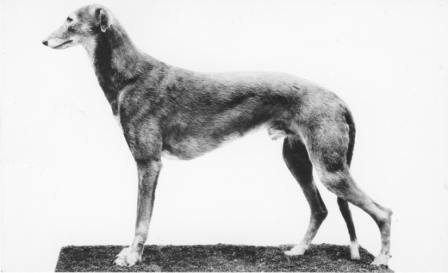 Mick The Miller ran from trap 2 and triumphed in a time of 32.40. The prize (apart from the adulation) was a silver trophy and £100. 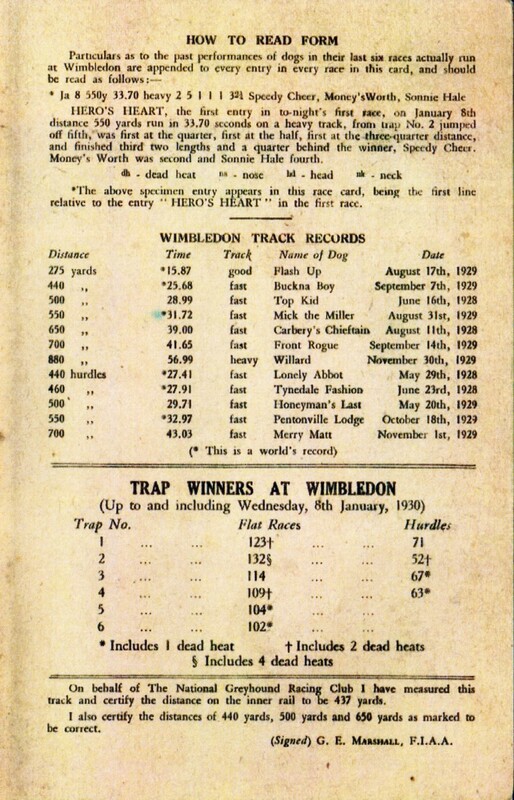 Many thanks to the Joiner family in Sussex for sharing the above race card.